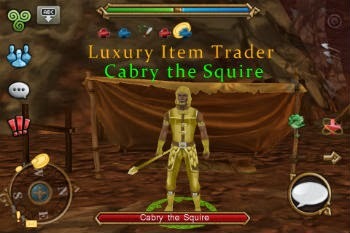 This guide lists all the luxury items in the Cabry the Squire luxury shop. Cabry the Squire is located in the main Fianna Encampment in Carrowmore Tunnels. All of his gear is Level 100 required.